I have shopping on my mind for this Fun Friday Fascinations. I just want to go buy cute clothing and things, and ModCloth is where I want to do it. #1. First up this amazing sweater I found a bit too late on ModCloth. I hope they bring it back, because oh man would my husband love to see this in a box on Christmas morning. #2. Love everything about this dress from ModCloth. 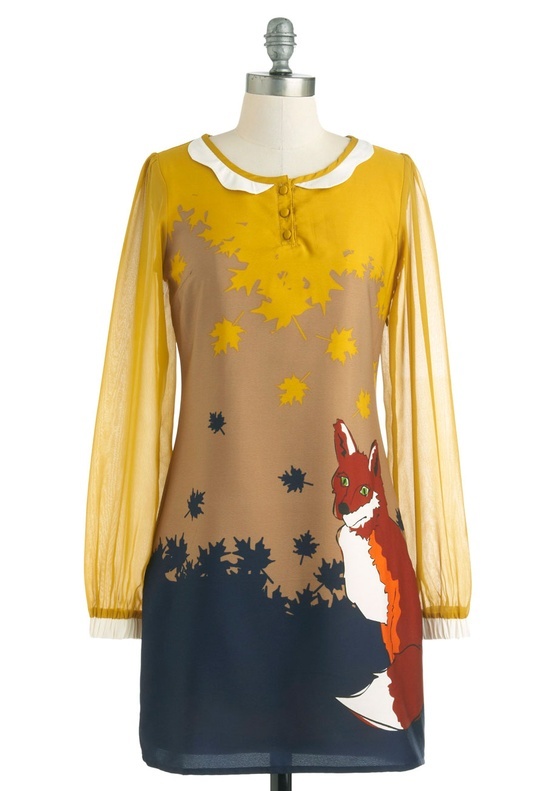 Those delicate sleeves with the thin peter pan collar, and adorable fox print makes me totally swoon. #3. 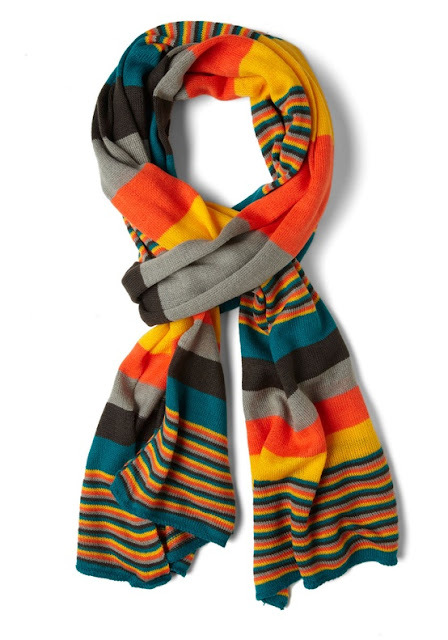 This scarf (from ModCloth) would be perfect for the cold mornings we've been having. Sometimes throwing on a warm colorful scarf is all you need to warm up a cute short sleeved top. #4. 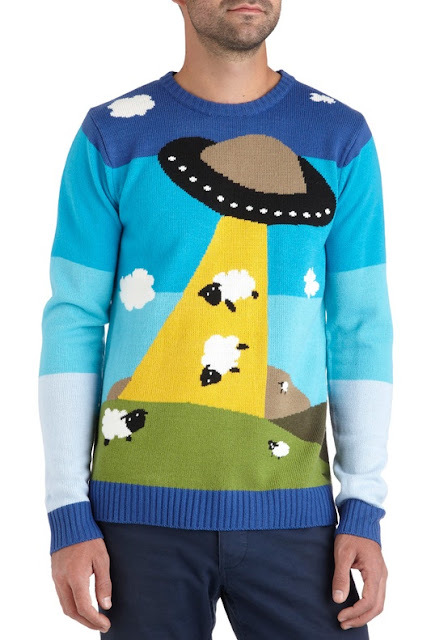 Another perfect fall accessory from ModCloth. I'm totally digging on this yellow, and these are way cute knee socks. #5. On a completely different train of thought, here is an amazing piece of art sculpted out of wood by Dan Webb. 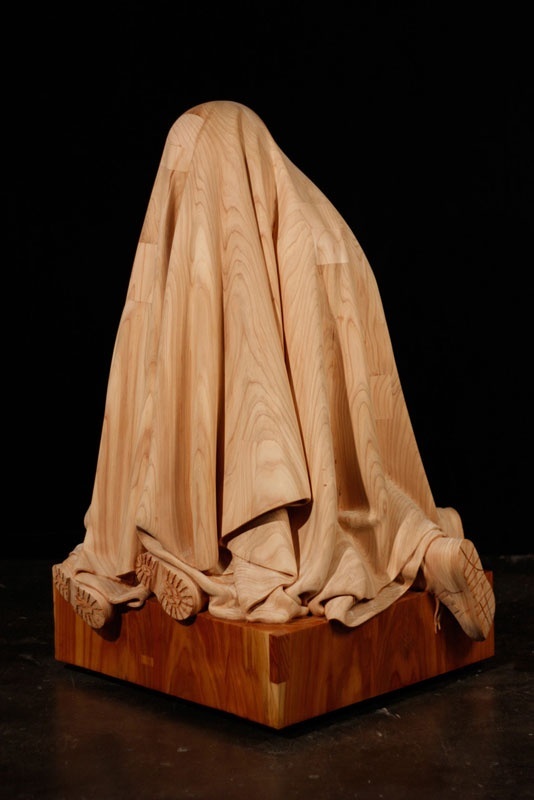 I'm amazed by the way he is able to make the wood appear to be draped fabric. #6. 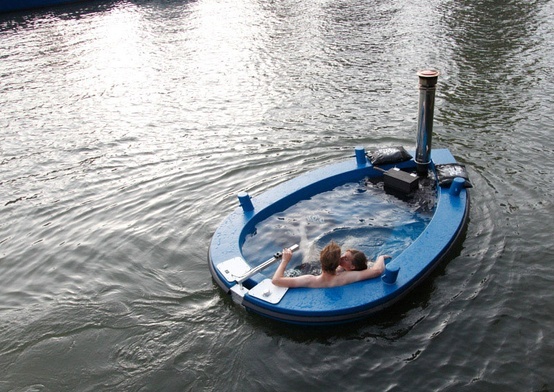 I'd like to end this week with the relaxing idea of floating around in a mini tug boat/hot tub. Looks like an amazing time.